INFLUENCER is a documentary featuring top tech and media CEO's and social media influencers. It takes you on a journey not only inside the mind of social media stars, but the technology that made all of this possible, over the last few decades. 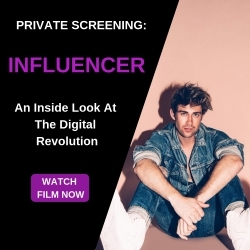 New York, NY, March 16, 2019 --(PR.com)-- INFLUENCER - An Inside Look At The Digital Revolution releases worldwide this week. Ever wonder how a generation of millennials made millions of dollars with an iPhone just following their passions? How some went from living in their parents basement, skateboarding the day away, to literally becoming more famous that some movie stars? This didn't just happen overnight. For decades there were technologies, companies, products and market conditions that were paving the way for today’s social media infrastructure. Influencer takes you on a journey to meet some of these people and technologies, while exploring the mind and the day to day of social media influencers. The film includes over 30 interviews with tech and media CEO's from companies like: ShareThis, BING, NeoReach, beBee, JUKKO, Hipknoties, OpenInfluence www.influencerfilms.com and many others. "With $107 billion dollars in advertising switching to digital over the last few years, I knew there was a story to be told here. We wanted to create a film that gives insight to just who these influencers are that are making a living on social media, as well as the executives that worked on the technologies that allowed for where we are today," said Bonnie Bruderer, the Executive Producer for the film. The unique launch of the film allows for each of the subjects on the cast to be compensated for their involvement. Each were provided with affiliate links and are paid for every download. The producers wanted to keep the role out of the film as authentic as possible to the story of influencers being paid to promote products and brands. 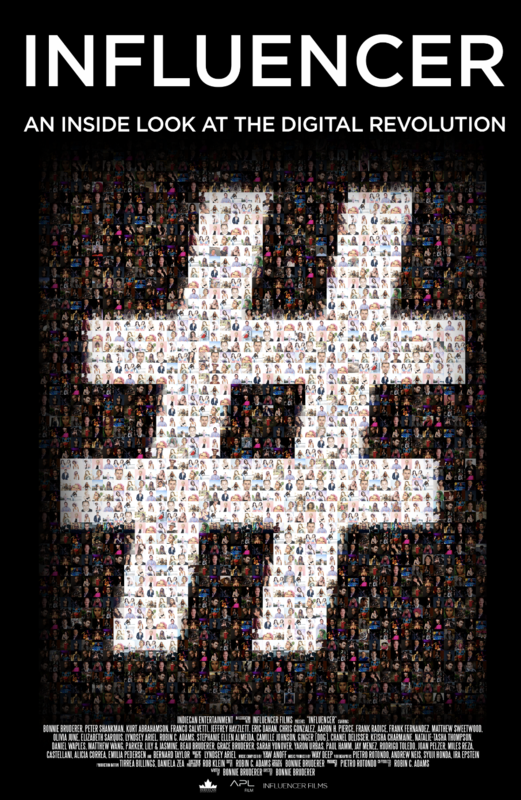 INFLUENCER-An Inside Look At The Digital Revolution releases worldwide this week. Ever wonder how a generation of millennials made millions of dollars with an iPhone just following their passions?